Scientists and researchers are constantly making new discoveries about the past. Whether they are unearthing ancient artifacts or finding lost texts, these findings help us get a better idea of what actually happened and what life was like so long ago. While we have a very basic idea of what has occurred throughout history, for the most part, many things about our world and the history of our species remains a mystery. These amazing discoveries from the ancient world still stump scientists today. 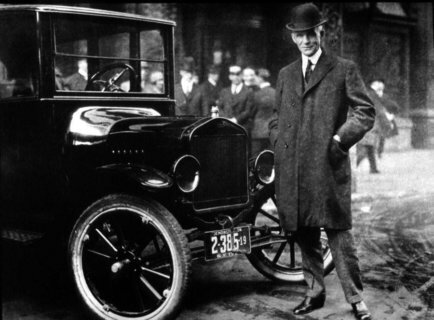 See what makes them such incredible pieces of history. 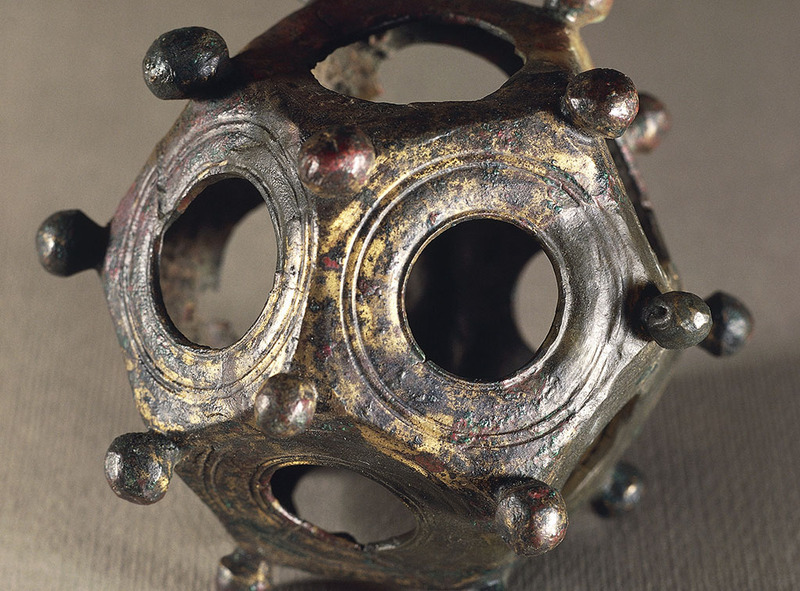 These Roman dodecahedrons are hollow objects constructed from bronze and stone. They’re designed with twelve flat faces with each face having a circular hole. They’re believed to originate back from the 2nd or 3rd centuries and have been found all over Europe including Wales, Spain, Italy, and Hungary. So far, around 100 of them have been discovered, although there isn’t any reference to them in art or historical accounts. Some experts have theorized that they were used as candlesticks, dice, a tool to gauge distances, or even gauges to calibrate water pipes. Several of these objects were also found in coin hoards, so it’s assumed that they were considered to be valuable. Located in Nevşehir Province, Turkey, Derinkuyu is an underground city used by inhabitants of ancient Anatolia to hide from invaders. After a series of volcanic eruptions, the inhabitants realized that it had softened the stone which allowed them to essentially carve an entire underground city into the hillside. The city is eighteen different levels and is estimated to have had the capacity of housing up to 20,000 people relatively comfortably. Within the city, researchers have found houses, bathrooms, kitchens, food storage rooms, churches, school, and just about anything a population might need to survive. The complexity and detail of the underground system still baffle researchers today. 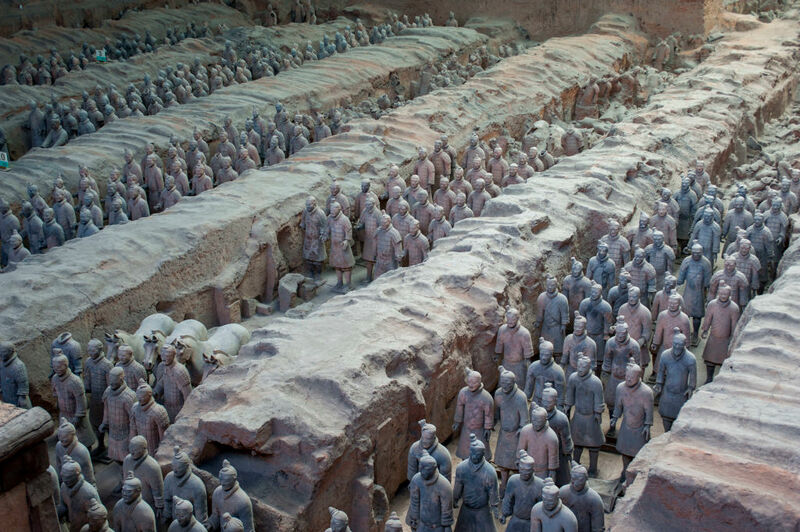 In 1974, a group of Chinese farmers unearthed an ancient life-sized terracotta army for Emperor Qin Shi Huang. To this day, the discovery is considered to be one of the greatest archeological finds of all time. However, people were wondering what the purpose of the army was, and it was deduced that the terracotta army was built to defend the emperor in the afterlife. With that mystery solved, the real question arose which is where the emperor himself was buried. According to an ancient document describing the emperor’s tomb, he is buried in an underground palace that is complete with a surrounding kingdom. Surely, the discovery of his tomb will be mind-blowing to researchers around the world. Have you heard of the world’s oldest computer? 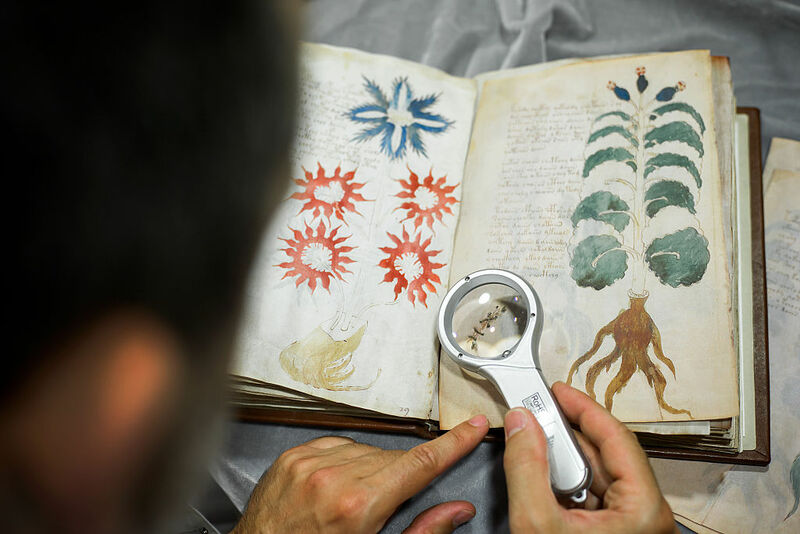 Dating back to the 15th or 16th century, the Voynich Manuscript is an undecipherable book that is currently stored in Yale University’s Beinecke Rare Book and Manuscript Library. 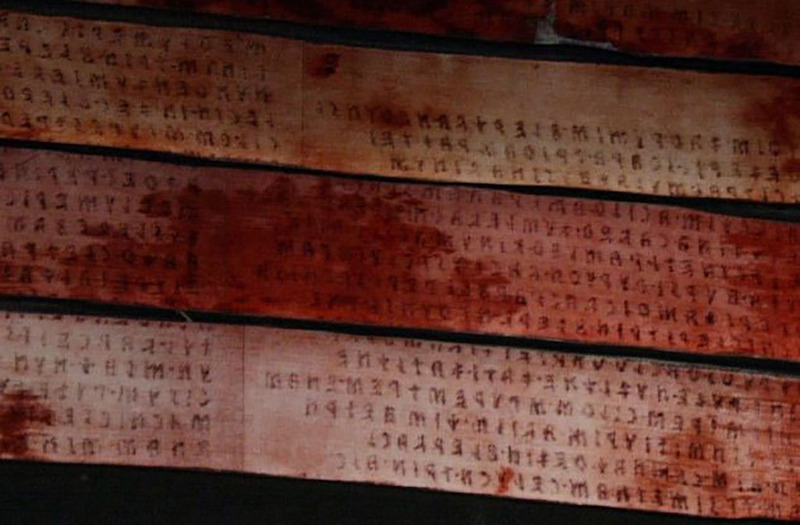 The manuscript is a handwritten codex using an unknown writing system paired with illustrations and diagrams. The writing is yet to be deciphered by researchers although it has been studied by professional cryptographers including American and British codebreakers from World War I and World War II. The origin and meaning of the manuscript have fascinated researchers since it was first brought to the attention of the public by Wilfrid Vooynich in 1912. 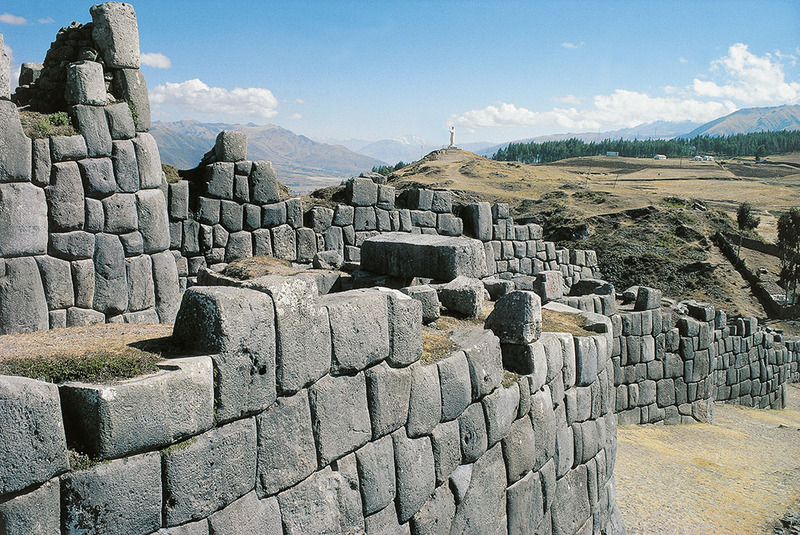 The Saksaywaman Walls in Cuzco, Peru are believed to predate the Incan Empire although the exact date of their construction is unknown. What’s amazing is how all of the stones fit so perfectly together even though it’s assumed that the creators didn’t have the proper tools or knowledge to succeed in such an endeavor. With the entire structure estimated to weigh around 200 tons, how they managed to get the stones there as well as stack them is yet another astonishing mystery. Yet, they succeeded, and the site is assumed to have been an ancient temple where religious ceremonies were performed. 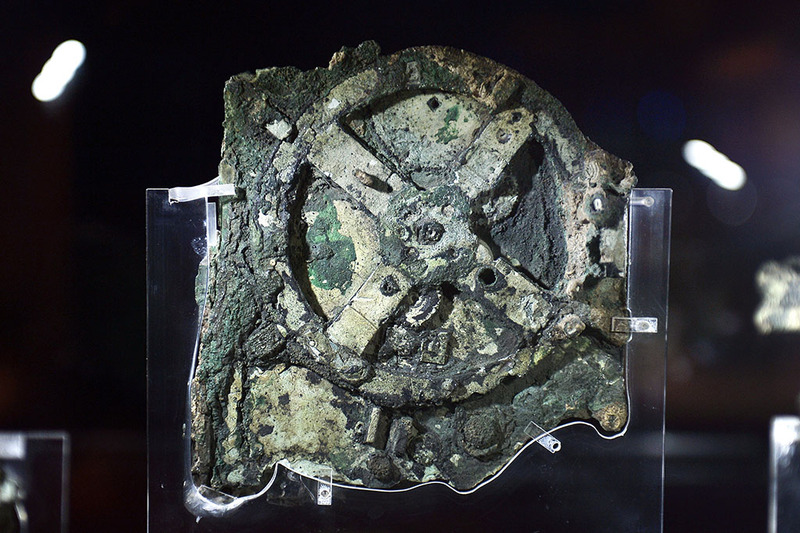 Otherwise known as “the world’s oldest computer,” the Antikythera Mechanism is an ancient Greek device that was used to predict astronomical positions and eclipses for calendars and other astrological means. The mechanism was discovered amongst wreckage off of the coast of the Greek island Antikythera in 1902. The device has been estimated to date back to 87 B.C. and is assumed to have been designed by Greek scientists. It’s made up of 30 bronze gears and 37 gear wheels which allow it to follow and calculate and measure the movements of the moon, sun, and other elements of space. 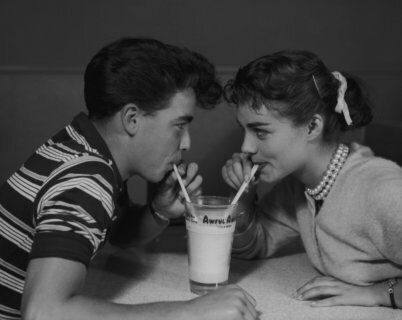 You won’t believe what was found in modern-day Iraq. Discovered in the 19th century on Easter Island, rongorongo is a system of glyphs that have yet to be deciphered. While some believe the glyphs have calendrical and genealogical information, none of the actual symbols can be read. 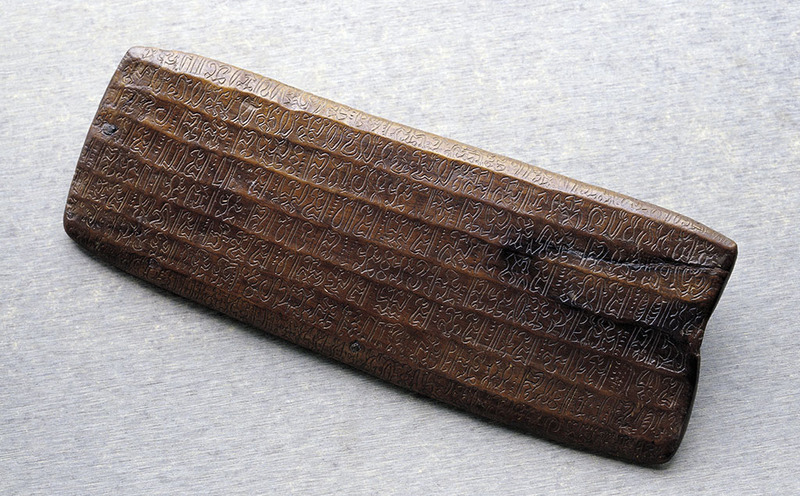 If rongorongo is discovered to be writing, it would be one of the very few independent inventions of writing in human history. Two dozen irregular tablets have been found with inscriptions engraved onto them with the majority of them sharing the symbols of a chieftain’s staff, a bird-man silhouette, and two crescent-shaped symbols. The tablets are believed by many to have once been sacred to the island’s inhabitants although their time of creation is unknown. The Aluminum Wedge of Aidu was discovered in 1974 by Romanian workers next to 11,000-year-old mastodon bones. While the shape of the wedge is interesting, what’s really fascinating to scientists is that the five-pound object is made of 89 percent aluminum as well as zinc, lead, and copper, among other elements. Aluminum, however, isn’t found in nature and wasn’t produced until the 1800s, presenting a rather large question. Where did it come from? For some, this mysterious wedge is apparently proof that Earth was visited by extra-terrestrial beings who left the wedge for us to discover. The stunning stone spheres of Costa Rica can now be found in museums, affluent people’s gardens, and still in the jungles of Costa Rica. 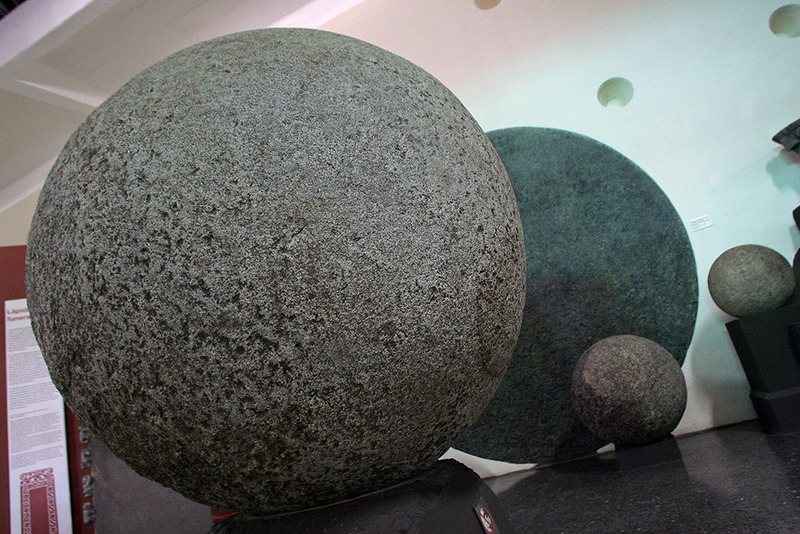 Believed to be the work of ancient indigenous people, these perfectly shaped spheres range from being a few inches in diameter to seven feet across and weighing 16 tons. Referred to as Las Bolas or “The Balls,” over 300 of them have been discovered varying in different types of stone. Some have proposed that the spheres were used as decorations leading up to the house of chiefs, however, their true significance remains unknown. While leading an archaeological dig in 1838 in what is modern-day Iraq, German archaeologist Wilhelm Konig discovered a cache of clay jars that dated back to 200 B.C. Yet these weren’t ordinary jars; they each contained an iron rod wrapped in a copper cylinder. Although confused at first, after some research, he concluded that the jars were actually ancient batteries. To test this theory, a college professor made a replica of the jars found by Konig and amazingly, they produced an electric current. However, the purpose of these supposed batteries remains a mystery as well as how these ancient people knew anything about electricity. Check out the world’s oldest man-made temple. Believed to be around 2,500 years old, the stone labyrinths of Bolshoi Zayatsky Island are a group of around 14 labyrinths located one a one square mile island off the coast of Russia. The majority of the small island is covered in these elaborate designs although archaeologists don’t know who created them or exactly what they were used for. Yet, one popular opinion is that they were believed to be portals to the underworld, used to trap evil spirits, or used as altars for religious ceremonies. While walking the desert plains of Nazca in southern Peru, you may not notice the giant geoglyphs that cover the floor of the desert. There are over 100 of these designs that are thought to have been created between 500 B.C. and 500 A.D. and were made by removing a layer of topsoil to reveal the yellow-grey subsoil beneath. There are figurative designs of various plants, animals, and people as well as less-distinctive designs. Yet, the amazing thing is that these geoglyphs can only be seen from above, which begs the question who they were for and how they were designed without access to the sky. 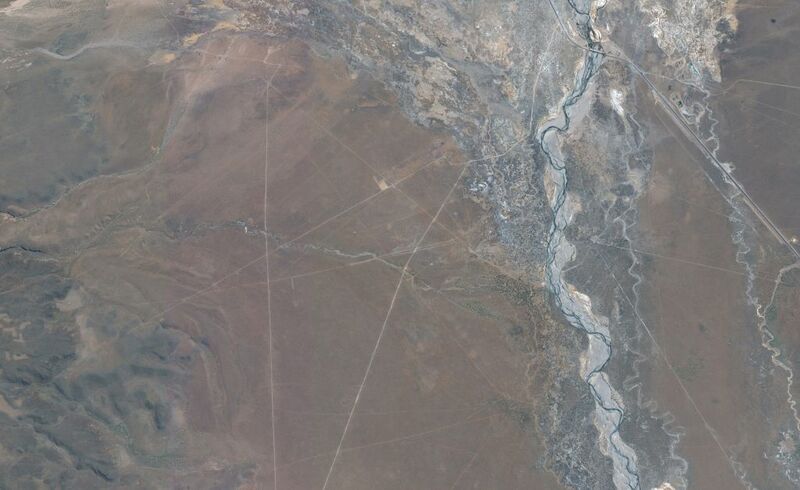 Much like the Nazca Lines, the Sajama Lines in Bolivia can only be seen from above. 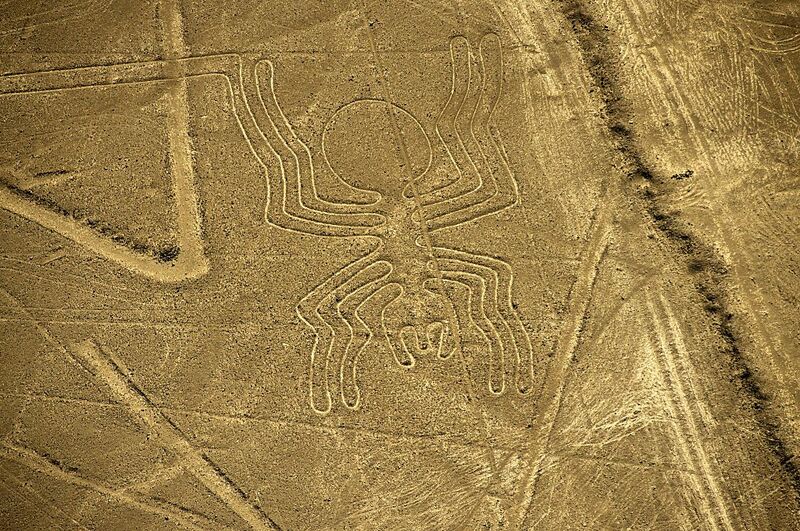 However, they differ greatly from the Nazca lines, as the lines don’t depict any images. Instead, they are simply intersecting lines that cover over 8,700 miles, making it one of the largest archaeological sites in the world. Discovered by Aime Felix Tschiffely in 1932, the lines are dated to be around 3,000 years old with nobody having any solid evidence as to what the lines were used for or if there was a purpose at all. 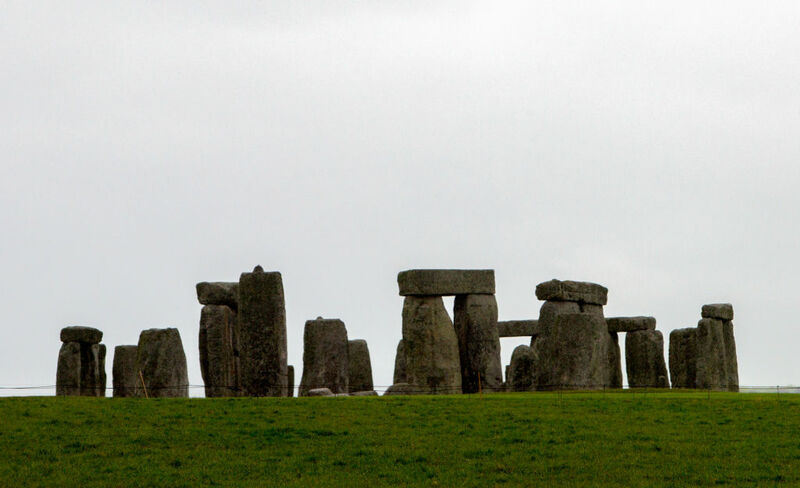 While we know that Stonehenge was constructed between 4,000 and 5,000 years ago, the prehistoric monument still has many mysteries surrounding it. Some researchers have concluded that it was part of a larger sacred area that was made up of other stone and wood structures. It has also been discovered that the area was used for hunting with more than 350 animal bones discovered in the area. Yet still, the major questions remain unanswered such as why it was built, who built it, and how did they manage to construct it with such rudimentary tools and limited knowledge? 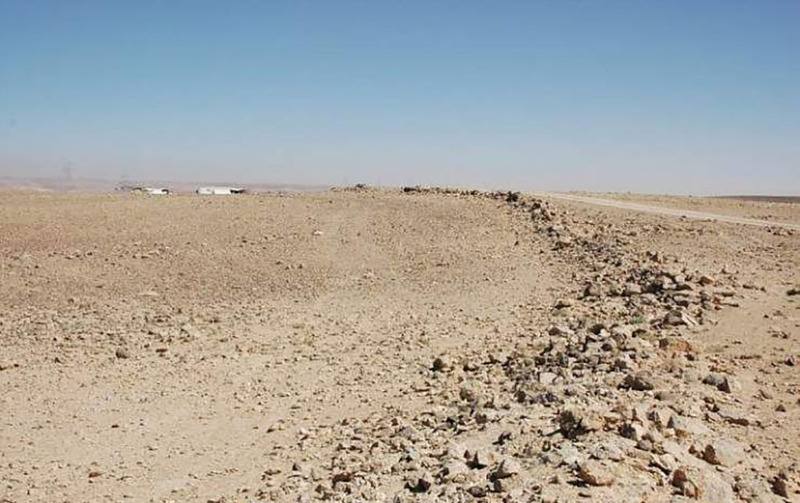 In Jordan, there are the remains of an ancient wall that has perplexed archaeologists since its discovery in 1948 by Sir Alec Kirkbride when flying over Jordan. The wall is made of stone and is a total of 93 miles going north-northeast and south-southwest. Pottery was found near the wall which helped researchers estimate that it was constructed between the Nabataean period 312 B.C.- A.D. 106 and the Umayyad period A.D. 661-750. The purpose of the wall remains an even greater mystery as it’s too small to have been used for defensive purposes. However, some believe that it was used as a separation line between ancient farmers and nomadic people. 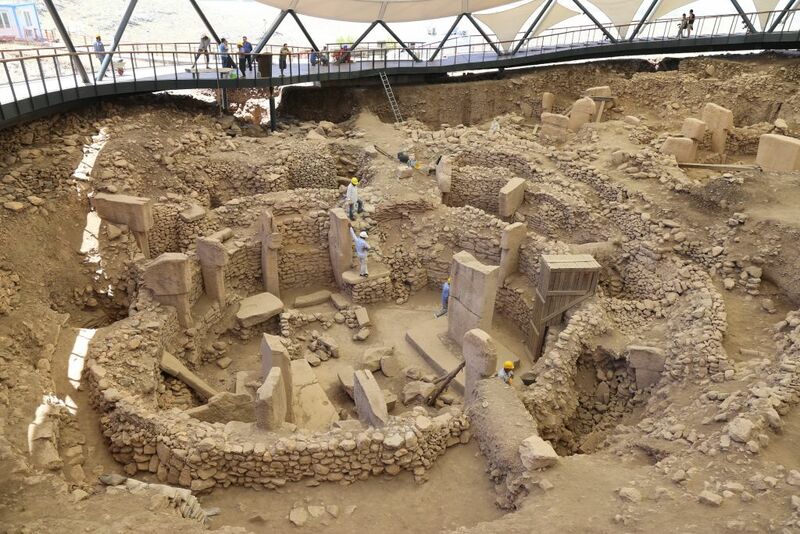 The Gobleki Tepe in Turkey is the oldest temple ever constructed by humans. It was built around 11,000 B.C., making it 6,000 years older than Stonehenge. Its discovery was revealed in 2008, which marveled researchers and historians alike. They didn’t think that something as complex as this would have been possible so long ago. It helped answer questions about ancient humans, what they were capable of, and the societies they lived in. However, people are still dumbfounded at how they were able to build such a structure without the aid of metal tools or deep knowledge of architecture. See what makes Puma Punku so unique. Discovered in Crete in a Minoan palace in 1908, the Phaistos Disc has been a hot topic for debate among scholars around the globe. 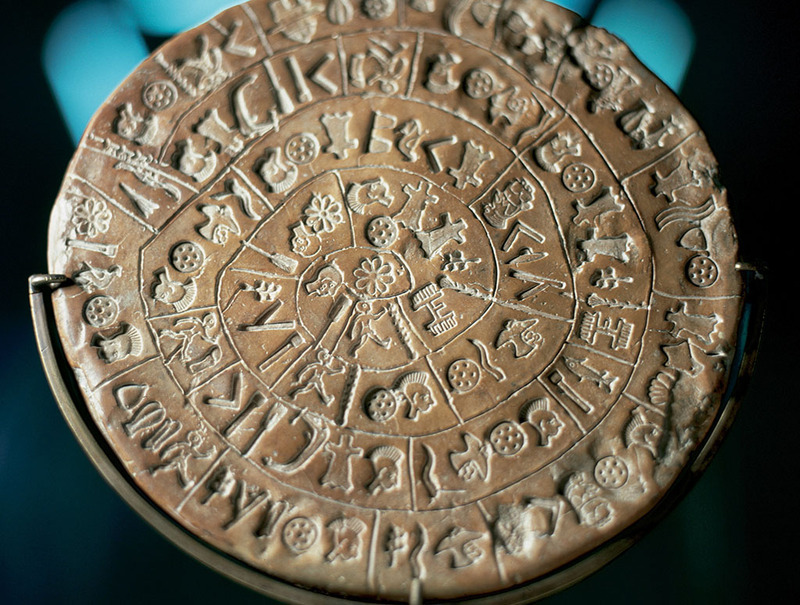 A circular object made out of clay, the disc is adorned with 241 different symbols that were pressed into it. However, the symbols are not related to any other written language during that time or previously, so their meanings are unknown. The artifact is assumed to have been made between 1850 and 1600 B.C., placing it in the late Minoan Bronze Age. 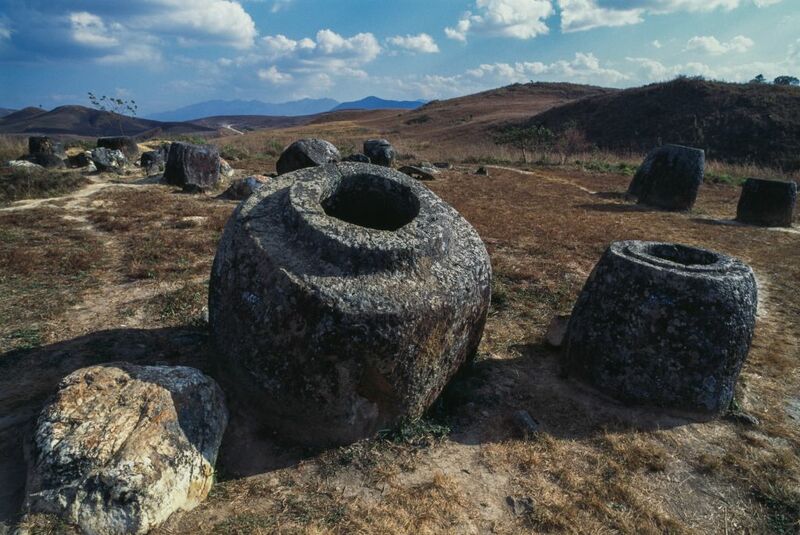 Believed to be over 2,000 years old, the Plain of Jars is located in Laos in the Xieng Khuang province. French researcher Madeleine Colani suggested that the jars were used as ancient burial grounds which turned out to be true, as human remains were discovered in the same location. 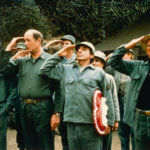 However, much of the land and many of the jars were destroyed due to war in the 1960s and 70s with researchers still hesitant to visit the site due to the threat of buried landmines. Researchers assume that there’s still much more to learn and understand about the jars area. Located in Bolivia, Puma Punku or “The Door of the Puma” is one of the most famous and mysterious archaeological sites in the world. It’s the remains of a temple that was built around 536 A.D. and has astonished scholars since it was first revealed to the academic community. What makes it so amazing is the precision of the cuts of stone and the layout of the entire structure. Some researchers have even argued that advanced tools would be required to create something the likes of Puma Punku. While people often associate pyramids with ancient Egypt, over the years, pyramids have been discovered all over the world. The shape has shown to be of meaning to numerous different cultures so it’s no surprise that they weren’t restricted to Egypt. 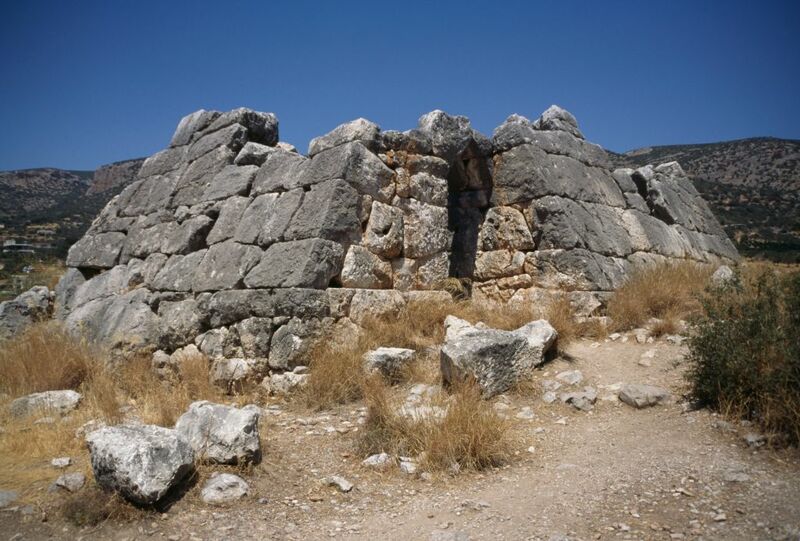 For example, the Hellinikon Pyramid in Argolis, Greece was built in 2721 B.C. and is much older than the Egyptian pyramids. It is believed that it was built as a tomb for the people that had died fighting for what was once Argos. Yet, there still hasn’t been significant proof as to what the purpose of the pyramid actually was. In 2011, a University of Colorado team stumbled upon an old Eskimo settlement that in Cape Espenberg, Alaska believed to date back over 1,000 years. Yet, they found something even more fascinating which looked like a small belt buckle, however, it dated hundreds of years earlier than the settlement it was discovered at. 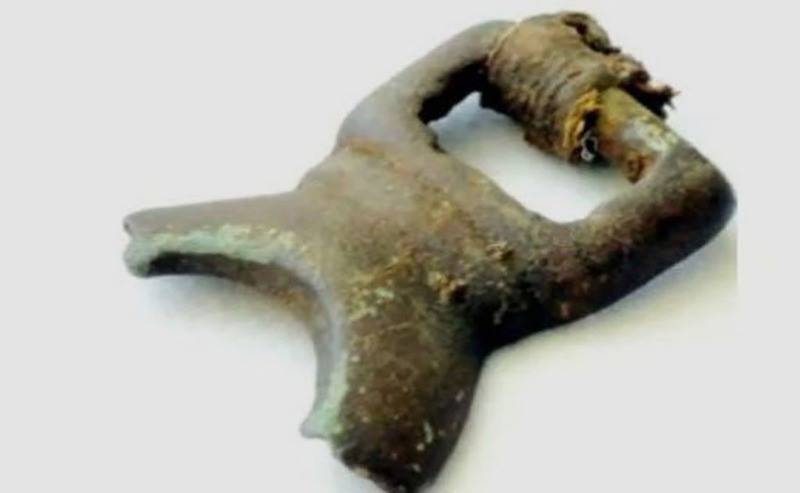 What makes it so interesting, is that it was made using a mold and is the only ancient artifact ever found in Alaska that was cast from bronze. One theory is that it was an heirloom from East Asia that was passed down for generations. Thus, experts are still unsure. Located in Malta, the Hypogeum of Hal Saflieni is believed to be the world’s oldest underground temple and is now a UNESCO World Heritage Site. While there are many different mysteries regarding the temple, one of the most intriguing is the unique acoustics properties in one of the underground chambers. One theory was that this area was specifically built for an oracle, so it has since been named the Oracle Room. 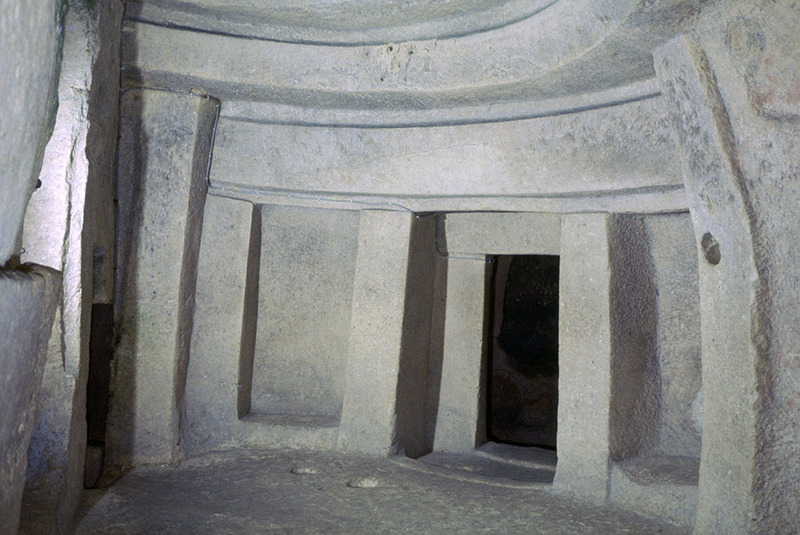 William Arthur Griffiths, who wrote Malta and its Recently Discovered Prehistoric Temples, claims that “A word spoken in the Oracle room is magnified a hundredfold and is audible throughout the entire structure.” However, archeologists still don’t know whether it was intentional or how they were able to design it to do so. 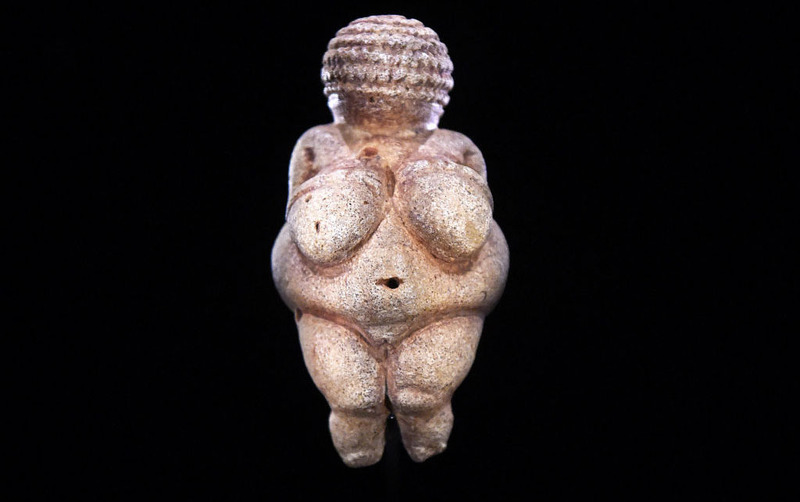 The Venus Figurines are a collection of prehistoric statuettes that were made during the paleolithic period. Almost all have the same design which appears to be a woman with small heads and very robust and curvaceous bodies which taper at the bottom. What is of particular interest is that while most have been found in Europe, some have been discovered as far away as Siberia. While many believe they are meant to depict a goddess, nobody truly knows the meaning behind them or how they were discovered so spread out around the world. A mystery since his death in 323 BC in the burial location of the body of Alexander the Great. According to the ancient historian Diodorus, his body was mummified and placed in a golden sarcophagus then another gold casket. Led by a procession, his remains were supposedly transported to the Temple of Amun at Siwa in Egypt. 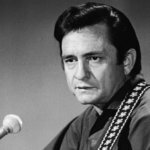 However, other records claim that he was buried in Alexandria. 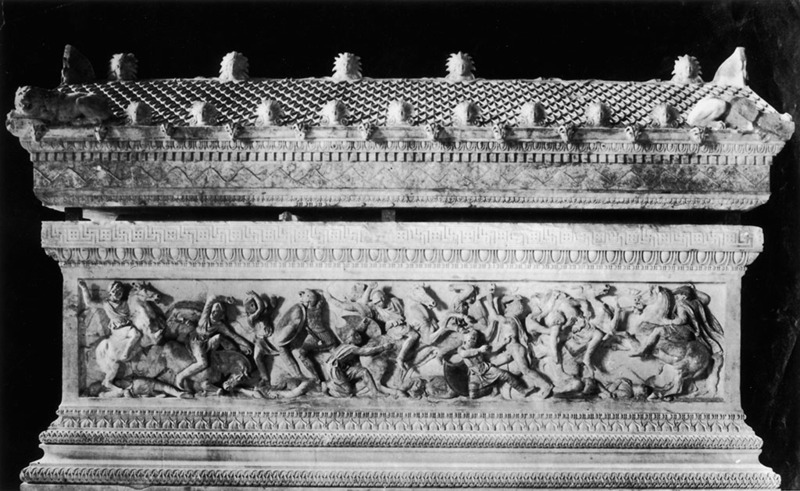 In 1887, 4th century BC stone sarcophagus was discovered in Lebanon and was believed to hold the remains of Alexander based on the reliefs engraved on the sides. 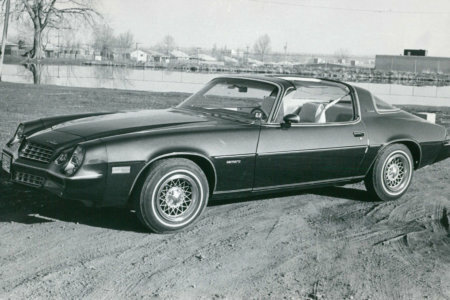 However, it was later discovered that it may date from earlier. 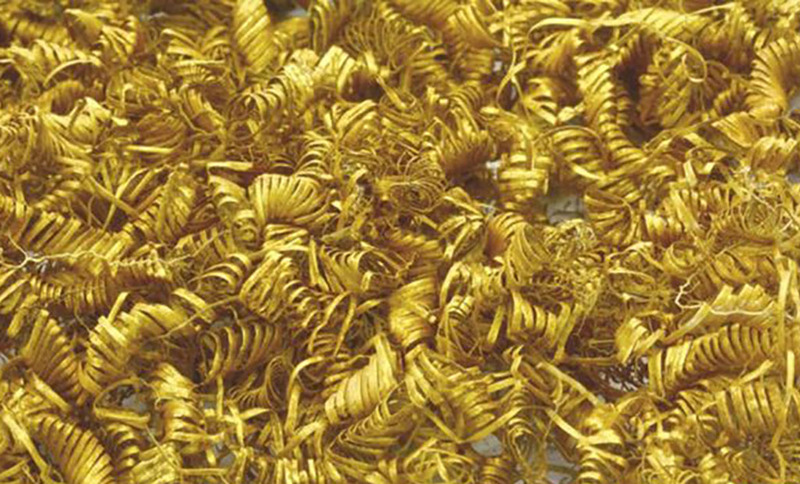 Around 2010, two amateur archaeologists discovered a cache of over 2,00 tiny golden spirals in a field in Eastern Denmark. Aaccording to Flemming Kaul of the National Museum in Copenhagen, the spirals date between 900 BC and 700 BC and are made with thin 1 inch long strings of gold. 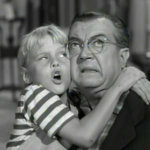 He went on to claim that “The fact is we don’t know what they were for, although I’m inclined to think they were part of a priest-king’s robes, perhaps a fringe on a head-piece or parasol, or maybe woven into cloth.” However, the answer is they simply don’t know where they exactly came from or the purpose of them. 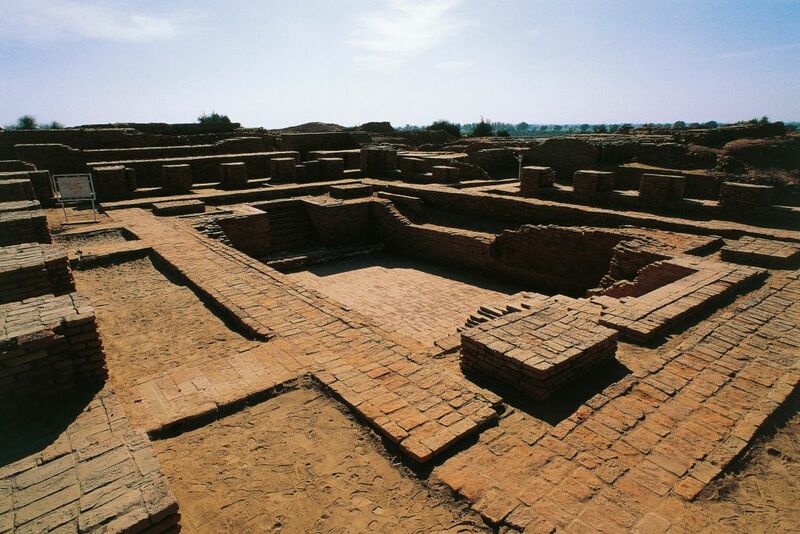 The extremely advanced Indus Valley Civilization is believed to have been at its peak around 4,000 years ago. It was a civilization make up of around more than 1,000 towns, cities, and settlements in is now Pakistan and northwest India. It was mysteriously ahead of its time and shows detailed signs of urban planning, an established culture, and a relationship with the then-thriving Mesopotamia. 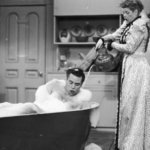 Most homes had bathrooms, drainage, with evidence of a complex controlled running water system. On top of that, the Indus Civilization had a writing system that today still remains a mystery although it has been failed to decipher countless times. Often described as the “Stonehenge of the Levant,” Rujm el-Hiriis located in Israel’s Golan Heights and was first discovered by air in 1967. It is an ancient monument made up of 42,000 basalt rocks and organized into five concentric circles. It is believed to have been constructed 3000–2700 BC during the Early Bronze Age II period and has a burial chamber that was discovered in the center of the circles. Given the structure of the monument and the short height of its walls, it is also thought to have been used for ritualistic purposes with the annual solstices corresponding with the gap in each of the walls. “This I have actually seen, a work beyond words. For if anyone put together the buildings of the Greeks and display of their labors, they would seem lesser in both effort and expense to this labyrinth… Even the pyramids are beyond words, and each was equal to many and mighty works of the Greeks. Yet the labyrinth surpasses even the pyramids.” Why not all historians believe Herodotus’ writings, expeditions are still underway in hopes of uncovering this ancient myth. 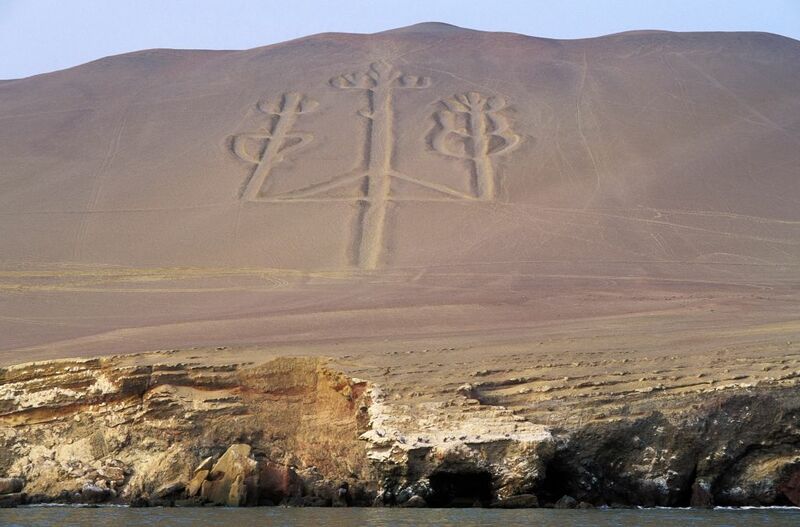 Located in Peru, the Paracas Candelabra is a massive geoglyph that measures 600 feet across on the side of a mountain. Although this particular geoglyph is relatively close to the Nazca Lines, ancient pottery found near the geoglyph has been proven to be from 200 BC, meaning it was most likely created by the Paracus culture. While experts have an idea of who might have made it, they still haven’t understood exactly while. Some believe it’s the staff of the ancient God Viracocha while others think it might be used as a landmark for sailors. Created by digging deep trenches which were then filled with white chalk, the Uffington White Horse is a 374-foot hill figure that can be found in England. This kind of depiction of a horse can be found on ancient coins that date as far back as the Bronze Age. 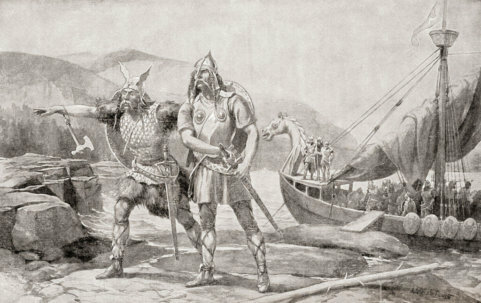 However, it is believed that it is not that old but may have been created during the Saxon period. 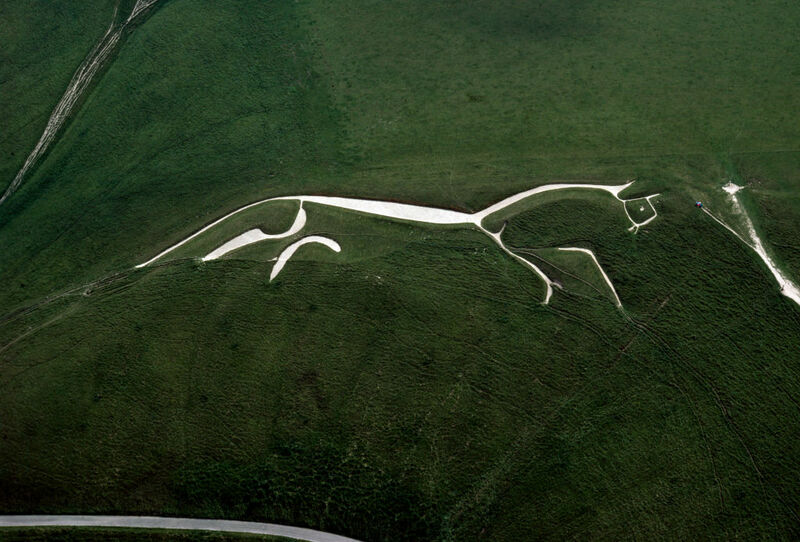 However, the Uffington horse is much older than other similar horse landmarks that can be found in the area, most of which date back to the 18th century. 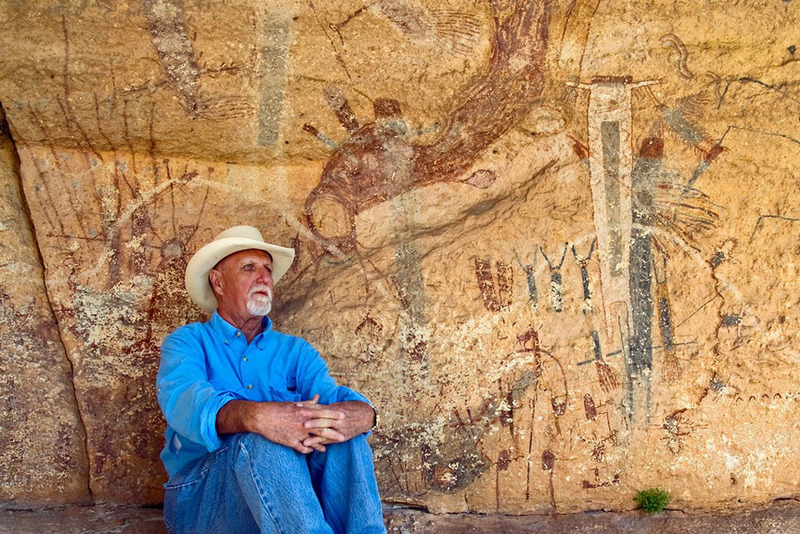 Near the Pecos River in Texas, you can find the White Shaman Rock, considered to be one of the oldest and most significant rock paintings found in the Americas. It is a 24-foot rock painting that has been dated back over 4,000 years and is believed to be the remains of a long lost religion. Originally, experts thought that it depicted five figures participating in a pre-battle ritual. But most recently, it is thought to be the image of people communicating with the spirit world with the help of the psychoactive plant peyote. The Linen Book of Zagreb or Liber Linteus Zagrabiensis is currently the longest written text ever discovered in the Etruscan language. While it is known to have had an influence on the Latin language, for the most part, the language has been lost. The book has helped give us key insight into the language but the most astonishing thing is how it has managed to survive for so long. The reason it is still in such good condition today is that it was cut into pieces and used to wrap a mummy. Discovered in a Romanian village, the Tartaria Tablets are three stone tablets that are believed to depict the earliest form of writing. Most archaeologists agreed that the earliest writing date back to the Sumerians in Mesopotamia between 3500 and 3100 BC. Yet, the Tartaria Tablets predate those discoveries by over 2,000 more years. This means it wasn’t the Sumerians who invented writing but the Vinca civilization of southeastern Europe who existed between 5500 and 4500 BC. Upon first discovery, they were believed to only be from 2700 BC but recent tests have proven they are much older. 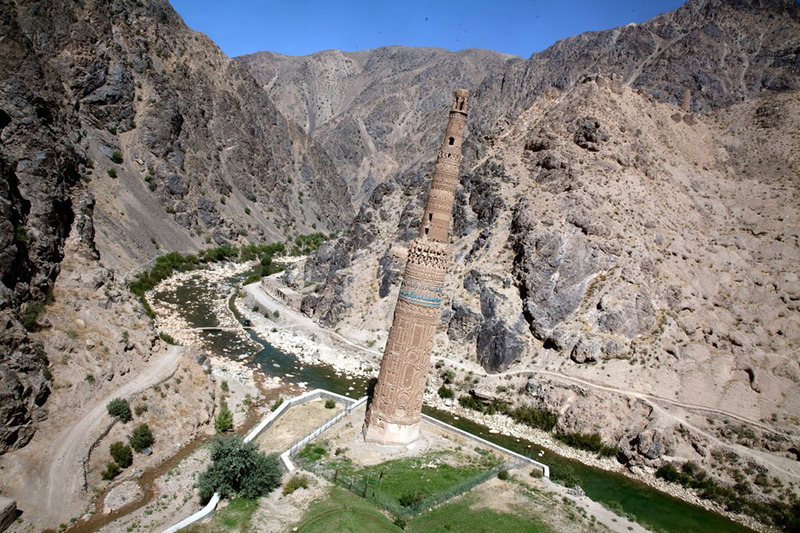 Standing 210 feet above the ground, the Minaret of Jam remains in amazing condition although it was built between the 12th and 13th century using baked bricks. The fact that it’s still standing and its intricate designs and artwork are still visible have made it a UNESCO World Heritage Site. While we know around the time it was built, the purpose of it remains widely unknown. One theory is that it belonged to the lost city of Firozkoh which was later decimated by Ogedei Khan, the son of Genghis Khan. 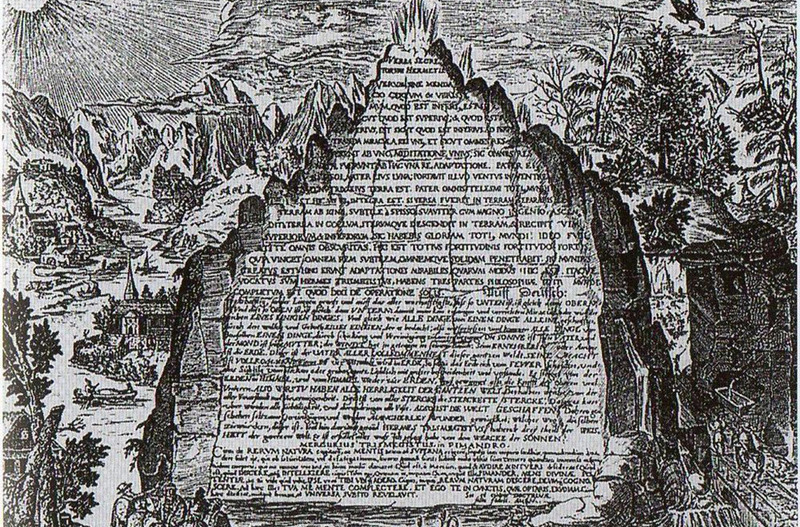 The incredibly mysterious thing about the Emerald Tablet it’s that it’s no longer around. We don’t know what it looks like or who wrote it, but the first mention of it was from an Arabic book between the 6th and 8th centuries. Supposedly, the text on the tablet was written in Syriac with the first Latin translation appearing in a 12th-century text with numerous other translations being discovered over time. The translated text has become a Bible of sorts for alchemists since the Emerald Tablet. Supposedly, it has references to the Philosophers Stone although no alchemists have made any notable discoveries from the translations provided. 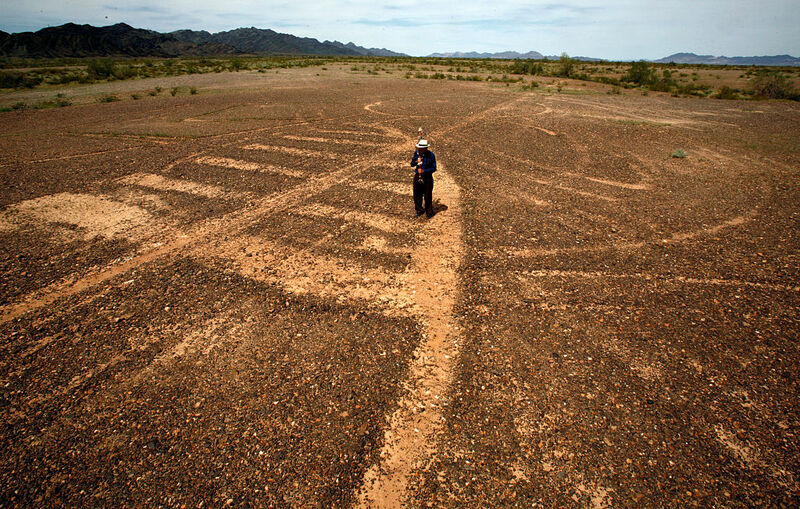 Discovered in 1932, the Blythe Geoglyphs are located in the Colorado desert close to Blythe California. The geoglyphs depicted images of animals, humans, along with other geometric shapes. It is assumed that they were created by the Quechan or Mojave Indians as the geoglyphs appear to symbolize important figures from their cultures. Yet, there is still a lot of mystery behind the etchings in the ground. Many of the designs are believed to date from the prehistoric age although their true age and who actually created them remains relatively unknown. 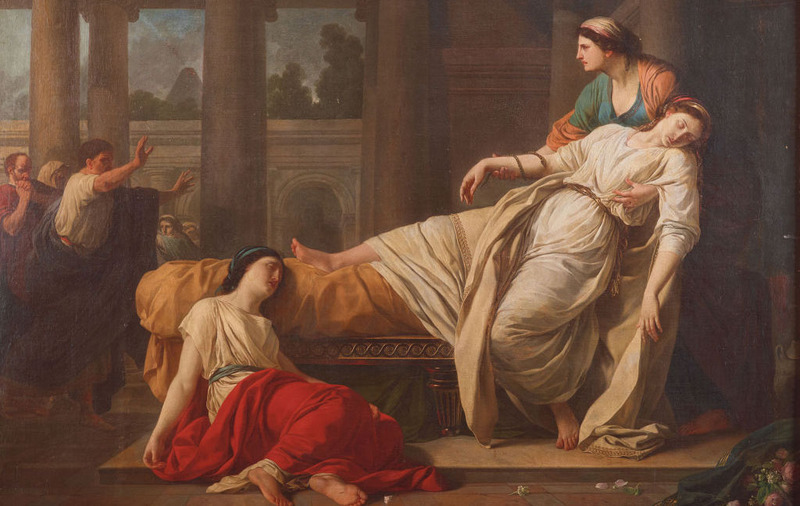 Much like Alexander the Great, a considerable amount is known about the life and accomplishments of Cleopatra, the last of the Ptolemies who ruled Egypt between 305 and 30 BC. 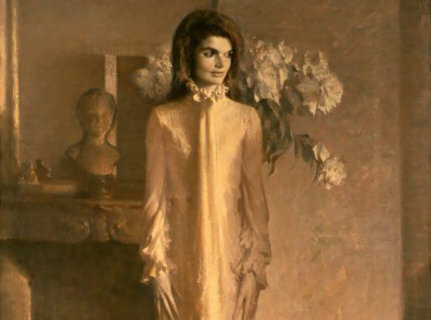 However, what is not known is where she was buried. 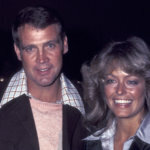 Both she and Marc Antony committed suicide after they were defeated by their former ally Octavian at the Battle of Actium. Ancient historian Plutarch claims the two were buries together in a “lofty and beautiful monument” located somewhere near the temple of the Egyptian goddess Isis. Yet, not a single discovery is yet to have been made. Found along the West Bank in Palestine alongside the Dead Sea Scrolls was a peculiar copper scroll. It dates back nearly 2,000 years when the Roman Empire controlled the Qumran settlement where it is believed to have come from. 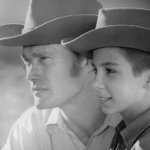 What makes it so curious is that some experts believe that it is a treasure map of sorts to a large cache of gold and silver. It was believed to have been hidden away with the Dead Sea Scrolls by the locals in order to keep it out of the hands of the Romans for fear they might find the treasure. In 2003, on the Indonesian Island of Flores, archaeologists discovered the remains of a tiny ancient hominid known as Homo floresiensis, although they dubbed them as Hobbits. The first skeleton discovered was from a 30-year-old female who stood just 3.5 feet from the ground. 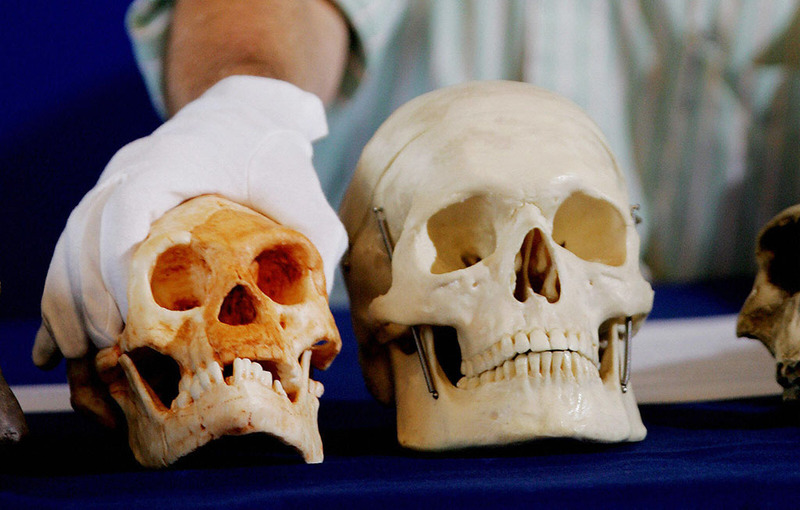 At first, they believed it was from someone who had microcephalia, yet they were proven wrong when they found other similarly sized skeletons on the island. It was also discovered that they weren’t humans but a different species, with their connection to humans remaining unclear. Beneath the waters of the Sea of Galilee is a ginormous monument made up of a collection of stones that is built almost in the shape of a pyramid. The object is expected to weigh 60 tons and is estimated to be close to 32 feet high. Scientists have very few ideas for what the rock pile was used or how it made it to the bottom of the sea. However, one theory is that it was used to mark a burial and wasn’t originally submerged, but rising sea levels eventually left it submerged beneath the water.